I've been a fan of watching cooking shows ever since we had cable at home may it be a contest, a baking show or a chef traveling around the world to try different cuisines. With all that exposures during my childhood, I wanted to learn how to be a great cook as well as have my own kitchen that looks just like what they have on TV. Their kitchens just looks clean, organized, sleek and modern which I would also envision to have when I get my own home someday. This is what I also saw during the La Germania event I attended to weeks ago, (thanks to Mommy Louisa of Art of being a mom, Ms. Laila and Ms. Shannen of Perkcomm for the opportunity) held at Chef Laudico's Guevarra's Restaurant. La Germania is a popular household brand that offers five-gas burner range ovens, single burner tabletop gas stoves, electric stoves, that suits the demands of all kinds of culinary needs. This is actually an international brand that is trusted by professional chefs, home cooks and even foodies due to its longevity, mileage, superior quality, performance, and sleek design. During the event, Chef Laudico also shared that they have been using La Germania gas range at their own home for the nth year and it is still functioning well. He even proudly said that it was made from the same material used in a Ferrari. With its Italian heritage, which can be traced to its principal Bertazzoni, La Germania products have been meticulously engineered to be tough enough to withstand the constant grind of the modern Filipino kitchen. It is manufactured locally by General Heat Corporation under the trademark La Germania, by virtue of a licensing agreement between Bertazzoni SPA of Italy and is distributed in the Philippines alongside its sister brands Bertazzoni La Germania and Bertazzoni. So if you are looking for that perfect range or stove that will complete your dream kitchen, make sure to check out La Germania products which are available in Kitchen Gallery showrooms and all appliance centers nationwide. You may also visit their Website to know more about what they offer and follow them on their social media accounts: Facebook and Instagram for updates. 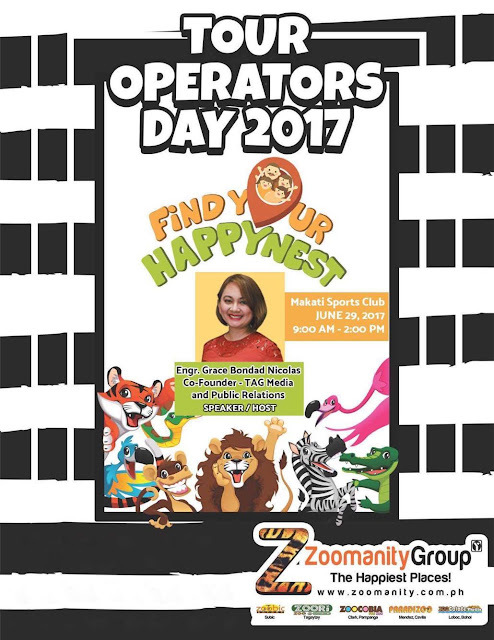 On June 29, 2017 from 9AM to 2PM at Makati Sports Club, Makati. More than 300 Travel and Tour Operators will be in one roof for the yearly Zoomanity Group event. Zoomanity Group is composed of different theme parks and Restaurants in the Philippines like Zoobic Safari, Zoocobia, Zoocolate Thrills, Paradizoo, Residence Inn, Misono Japanese Restaurant, Jinsei, Nanten, Midori and Yakitori Daitokyo. Zoomanity group is the leading company in theme park industry under the Yupangco Group of Companies. Envisioning world class, innovative and enjoyable facilities from Northern to Southern Philippines by providing the best tourist destination and nature educational experiences with the facilities that is uniquely design to provide enjoyment to visitors of all ages. 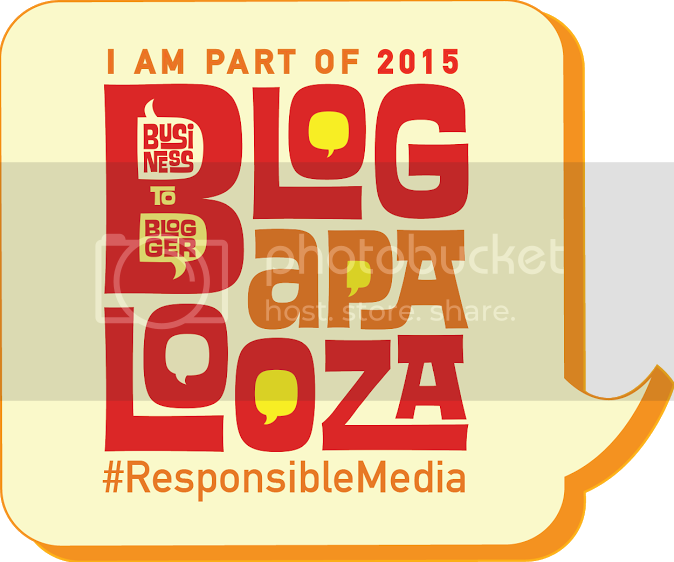 marketing, strategic planning, promotions and branding. The team is composed of Marketing Professionals and Information Technology Experts with experience from different global companies. A tour operator typically combines tour and travel components to create a package holiday. They advertise and produce brochures to promote their products, holidays and itineraries. The objective of the Travel and Tour Operators Meet is to acknowledge the contribution of these different companies in the tourism sector by the award winning entrepreneur, Robert Laurel Yupangco, the CEO of Zoomanity Group. Tourism is an important sector for the Philippine economy. The country is known for having its rich biodiversity as its main tourist attraction. Its beaches, mountains, rainforests, islands and diving spots are among the country's most popular tourist destinations. Prime Time Queen Marian Rivera - Dantes is known to be one of the best in the field of acting but when asked her favorite roles, it is being a mom to her adorable Baby Zia and a wife to Mr. Dingdong Dantes. Aside from her career as an actress, what keeps Marian busy is her love of cooking. She has been fond of improving her culinary skills which started from creating baby food for her little one as well as easy-to-do meals like stir-fried dishes for the whole family. She then shares her secret weapon to create great-tasting stir-fried dishes like Chopsuey and Fried Rice which is none other than the Aji-Ginisa Flavor Seasoning Mix. This helps in making each dish taste Garantisadong Ginisarap! Check out Marian Rivera - Dantes on Aji-Ginisa's latest TVC as she dances and sings to the tune of her hit single, "Sabay-Sabay Tayo". You too can create Garantisadong Ginisarap dishes using Aji-Ginisa Flavor Seasoning Mix through the recipes seen at Ajinomoto's Website as well as on Aji-Ginisa and Cookmunity by Ajinomoto Facebook Pages. Relaxation and New Learnings at I'M Onsen Spa and Sun Life Financial Philippines' Mom's Day Out! I've been very busy with my new work at the hospital and I'm trying my best to cope up with the ever changing duty schedules with only one day off a week. It was very different from my last work experience but I'm managing to get used to this new setup. But I can't deny the fact that it's energy-draining and a very much needed pampering session would be a great idea. Thanks to Sun Life Financial Philippines and I'M Onsen Spa's Mom's Day Out, I enjoyed a day of relaxation plus a few mom tips from two amazing speakers during the program proper. Let me share to you my experience during the event. First, we went to I'M Onsen Spa's lobby where I was asked to fill up a consent as well as my info and they let me choose the service I wanted to avail. Since, it was my first time to experience a whole body massage, i opted to go for a mild massage called Aromassage. Then they placed a band on my arm which will be my buffet and spa pass. Next, we headed on to I'M Hotel's luxurious buffet, Bloom, which offers international and local dishes created by their very own world-class chefs. I personally loved the Japanese, carving, grilling and dessert station. I also enjoyed the fact that you can order at their stations (e.g grill and pasta station) and they will bring it to your table once your orders are cooked. After a sumptuous meal, we were ushered to the Onsen's Check In Area (near the swimming pool) where we were given a Locker Key wrist band and a Yukata or a light cotton kimono. Here's what's inside the locker. Make sure you remove any unnecessary items and place them inside the locker prior to your massage/service. Of course, an obligatory selfie while wearing the Yukata is done. Unfortunately, both are blurred, maybe because I felt too excited to see myself wear it. Prior to your services, you will be asked to stay at a huge room filled with very comfortable chairs where you get to enjoy free tea and coffee while you wait for your therapist. Finally, we were brought to the massage area. My therapist's name is Ms. Aiza and she did a great job massaging me as a first timer. She made sure that the pressure was not too painful especially on areas with "lamig". It was such a relaxing experience that made me want to come back for more soon. Next part of our Mom's Day Out is a short talk on parenting with Ms. Michelle Alignay (Part 1 and Part 2) and Building an educational plan with Ms. Mylene Segismundo. My take on Ms. Michelle's talk is that you should never pressure yourself to be the "perfect mom" who can balance and take charge on everything a.k.a. Master of Multitasking. Know your limits, recharge, re-balance and be the Master of Myself Mom. Ms. Mylene's talk was more of an eye-opener of what to expect when it comes to our kids' education. It is something that every parent should really understand and prepare for because it can be very expensive. I learned a lot from their talks and I would like to share to you their talks through my facebook live: (Part 1, 2 and 3). I would also like to share to you a video from Sun Life Financial Philippines, which is one of their Sunshort film entitled: She Said. It was such an inspiring short film and the fact that you can see both the mom and the child's perspectives are just heartwarming. Being ready with your kid's financial needs can really be a big deal to be able to have more time to bond and take care of your child. Something that I hope I could experience in the near future. With all these facts and experiences shared to us during the Mom's Day Out, I am very thankful to Sir Arnel of ABCDigital, Sun Life Financial Philippines and to I'M Hotel/Onsen Spa for the opportunity to learn a lot from the talks as well as have a much needed pampering session. That being said, I am inviting all of you to experience a Mom's Day Out too! Just visit Sun Shorts Website to register either for July 1 or July 15. See you there! The number one life insurance company in the Philippines marks June as the 4th Financial Independence Month to help Filipinos break free from the cycle of financial shortage and insecurity. The films will be released on June 7 at www.sunshorts2.com, and will also be uploaded on Facebook so it may be easily accessed and shared by viewers. Each film will also come with an explainer video, where Sun Life brand ambassadors Matteo Guidicelli, Judy Ann Santos, and Piolo Pascual will share their thoughts and shed light on how insurance and investments enable us to protect the relationships that matter to us. Sun Life released its first collection of Sun Shorts in 2012 and the project has been recognized by different prestigious local and international award-giving bodies, which lauded the creative approach to promoting insurance and investment products. To complement the new Sun Shorts films and to give Filipinos the opportunity to learn about life insurance and mutual funds, Sun Life will hold a series of activities throughout June as a next step for those who would like to boost their financial journey. For the millennials, Sun Life will offer a workshop on achieving their travel goals, while moms and dads will be treated to a pampering activity to help put them in the best mindset to create future goals. For details on these activities, visit @sunlifeph on Facebook, Twitter, and Instagram. Meanwhile, for those who prefer to learn at their convenience, Sun Life offers basic financial planning courses in the Brighter Life Institute at www.brighterlife.com.ph. Sun Life will also launch PA Armor, an affordable personal accident protection for Filipino online shoppers. Through Sun Life's partnership with Voyager Innovations, Inc., members of the online marketplace Takatack.com will exclusively enjoy the benefits of this protection. Have you ever experienced putting on fake eyelashes but you felt like it is gonna take forever to apply because you're not really good at it? I did! The first time I had to put them on was during our company's Christmas Party performance last year and i must say that it was a very hard and a challenging thing to do especially when you have no idea how to actually do it. Good thing, there are salons who specialize in safe application of natural-looking hair lashes extensions. Last September 23, 2016, I was invited to be part of the grand opening of Ooh La Lash! Lash Extension Lounge's first branch at the Glorietta 2, Makati City. They offer eyelash extensions, brow threading and brow tinting services delivered with attention to quality and detail done by qualified aestheticians in a stylish and comfortable environment. 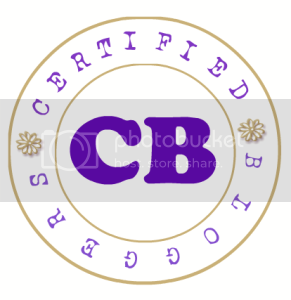 They are actually the first lash studio in the country to provide this level of quality assurance. Ms. Roan was assigned to me that day and she did my brows first prior to the extension application. 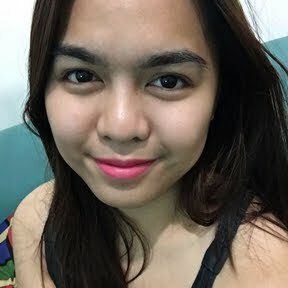 Then after my brows were perfectly groomed, she then asked me was what type of eyelash extension would i want to use, and since this is my first time to have extensions on, i really didn't know what to choose. I just told her that I wanted something a bit longer than my real lash and I like a natural looking curl. She decided to use the 10B Curl extension. Here are the FDA-approved materials used in applying the eye lash extensions. Next she applied collagen pads under my eyes maybe to give it a soothing feel for this 45 minute service. Ms. Roan instructed me to just close my eyes the entire time to avoid the eye lash glue to come in contact with your eye and of course to avoid ruining the lashes that she already applied. I actually didn't feel uncomfortable during the process except when I accidentally opened my eye at one point that made me feel a bit of discomfort (my bad!) although you really have to be patient in closing your eyes for less than an hour. After application, Ms. Roan had to make sure that the glue is already dry and when it was time to open my eyes, she informed me that i may feel a bit of discomfort but it will wear off eventually. Here's the result! Please don't mind my oily face. Their eye lash extensions usually last for a month after which you can avail of their eye lashes refill at very competitive prices. I would like to thank ms. Leo My of Crownless Beauty Queen for inviting me to attend the grand opening of Ooh La Lash! Lash Extension Lounge. It was such an awesome experience and I can't wait to do more selfies with these perfectly made extensions. To know more about Ooh La Lash! 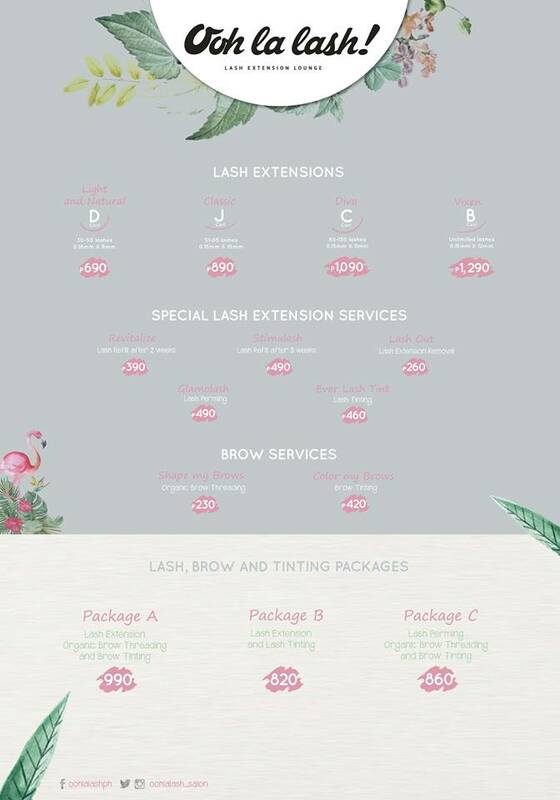 Lash Extension Lounge and their ongoing promos, follow them on their social media accounts: Facebook, Twitter and Instagram. Another option in getting beautiful long lashes is through the use of Revitalash. Let me know what you would prefer and share your experiences in getting your lashes done on the comment section below.